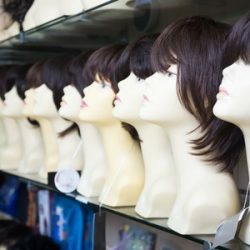 Chemo Wigs | Stylistic Inc.
With the possibility of losing their hair during treatment, many chemo patients decide to shop wigs. Not only does a wig help you look your best, but hopefully feel your best, as well. 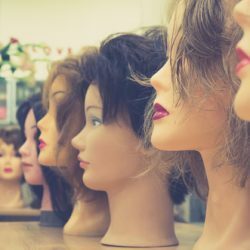 If you’re unsure of where to begin, we’ve compiled a few tips that will make choosing the right wig for you, a breeze. The cost of wigs can run the gamut, so it’s a good idea to figure out a price range of what you’re willing to spend. Do some homework on the different types of hair, the seasonal effects, etc. Typically, wigs are made up of two materials: synthetic fibers or human hair. Sometimes they’re made up of a combination of those two. The most popular type of wig for women undergoing chemo is a blend of 70 percent synthetic fiber and 30 percent human hair because they are lightweight, adjustable, and affordable. Seek out a quality salon that knows how to help those with cancer. They will help you find a wig similar to the cut and style that you have now or lead you in the right direction if you want to try a totally new look. 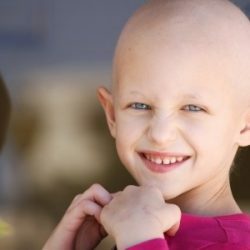 At Stylistics, we are dedicated to finding chemo patients a wig that will help boost confidence and increase comfort while undergoing treatment. One-third the price of a 100 percent human hair wig, chemo wigs are an affordable and comfortable solution for short-term hair loss. Give us a call at 602-234-3381 to learn more about this system and schedule an appointment today!